The proposed development of the Suburban Rail Loop (or rather horseshoe) promises to provide much-needed rail connections between Melbourne’s radial rail network. One of the proposed nodes Box Hill is already pointing the way with respect to major residential development as a leading metropolitan activity centre. The City of Whitehorse promotes Box Hill as a ‘Future Ready City’ and the area around the Box Hill Railway station has been a major development hub since the early 2000s. While most residents and visitors to the area cannot but help notice that there is a construction boom, data from DELWP’s Housing Development Data project helps to put this in context. Housing Development Data is an ongoing program which DELWP has maintained since 2004 which monitors the availability of all housing stock within 32 municipalities in the Melbourne metropolitan area. 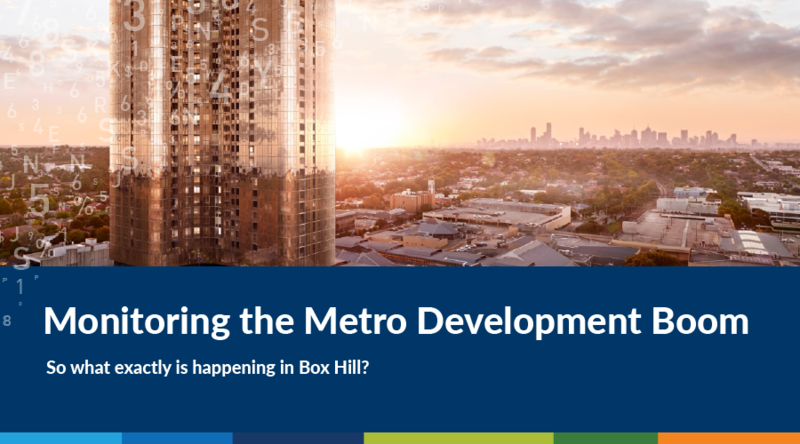 The data provides a valuable picture of the development of housing in Melbourne and provides insights into the changing face of housing across the metropolitan area. So what does this data tell us about what is happening in Box Hill? 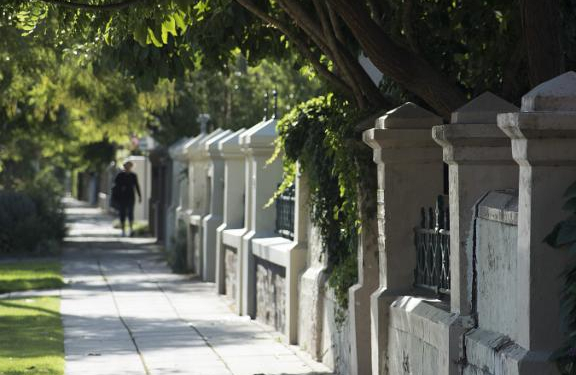 One of the most interesting development aspects revealed by the Housing Development Data is that much of the high density development is happening on suburban blocks that previously held one or two family homes. Prior to 2004, unit developments were modest with only 8 developments of 20 dwellings or more. All of these were low rise, of no more than 3 storeys and the largest, ‘Gowanlea’ in Whitehorse Road, had only 38 units. The first major high density housing development appears to have been the 68 unit Pacifica Apartments in Poplar Street, completed in 2007. This development was over two standard suburban lots. Between 2005 and 2015 there were twenty-five (25) 20+ unit development projects adding 1,148 dwellings (mean development size 47 dwellings). Eleven of these projects occurred on a suburban lots of less than 1,000m2 which formerly supported single dwellings. This meant that 11 lots that had formerly supported single dwellings now provided housing for 557 families. This trend accelerated in 2016, the period for which the latest housing development data is available. In 2016, there were nine developments of 20+ apartments with a total of 569 dwellings built (mean development size of 63 dwellings). Eight of these developments occurred on suburban housing lots, although one of them in Harrow Street encompassed 3 lots. Although large, these developments are dwarfed by some of the planned or under construction projects around the Box Hill activity centre. Savills real estate estimates that there are 149 residential apartment projects in various stages of development which would provide 5,500 new apartments including Sky One with 36 floors and over 400 dwellings and the Golden Age Group’s 18 storey redevelopment on the corner of Station and Cambridge Streets. 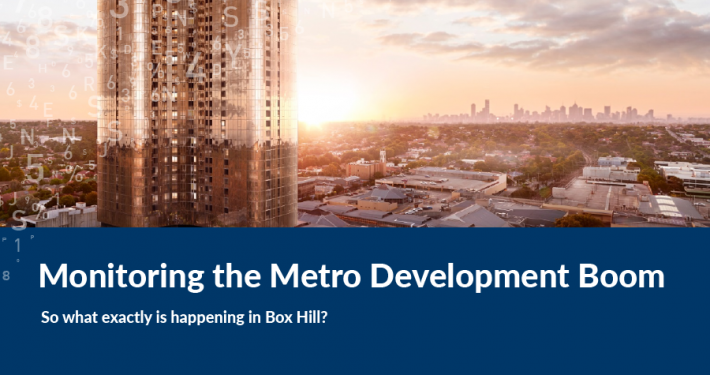 Whitehorse Council sees the development of Box Hill as a ‘Future Ready City’ with a variety of residential, commercial, retail and health and education facilities that will enable people to live where they work and study. The population is planned to almost double in 20 years from the 12,000 people recorded in the 2016 census. The council estimates that in 2013-14 there were 3.25 million passenger entries in Box Hill railway station. It looks like the Suburban Rail Loop can’t some soon enough. 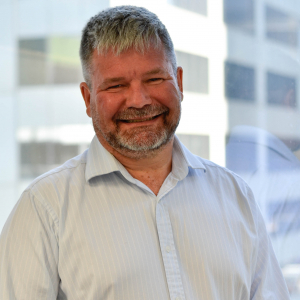 Jeremy’s role includes distributing and value-adding spatial data, identifying and locating spatial datasets for a variety of clients and purposes, and cleaning and restructuring data to meet client’s business needs. He has extensive experience in managing large data capture and conversion projects. 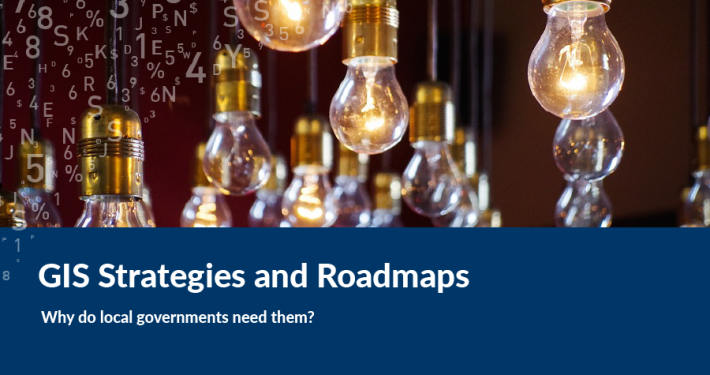 Jeremy adopts spatial industry best practice for managing and distributing spatial data and contributes to consultancies requiring specialist input on the acquisition and management of spatial data.